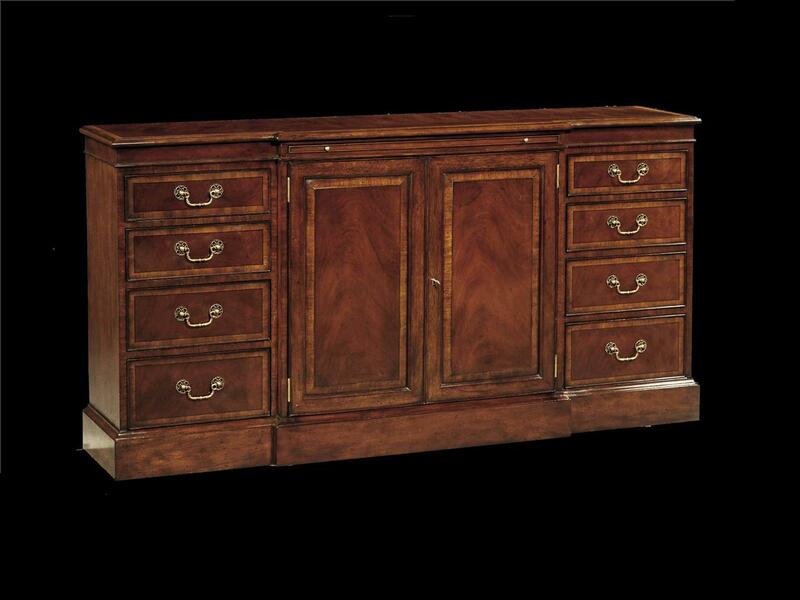 Description: Traditional banded mahogany sideboard. 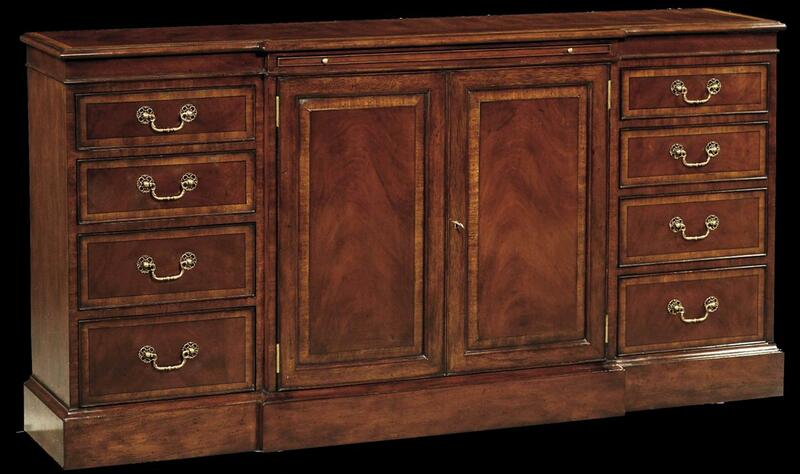 A colonial revival sideboard, console or credenza made by a fantastic cabinet maker. 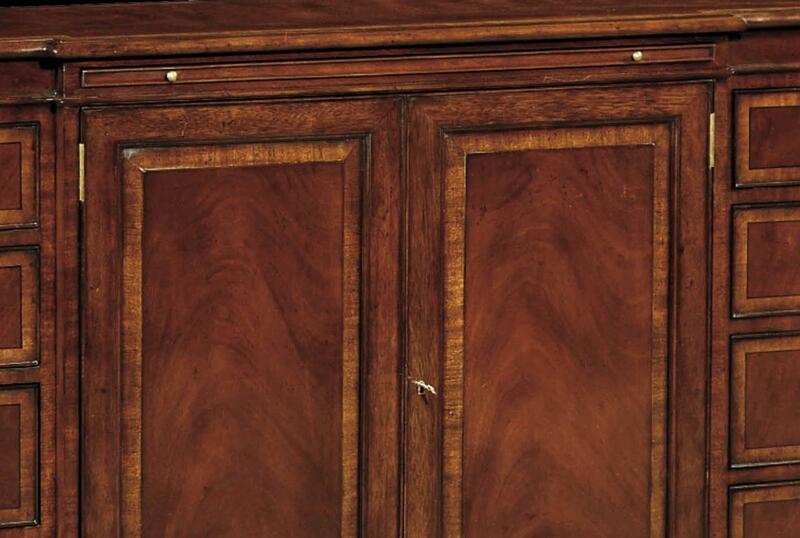 Great quality cabinet with oak drawers and a fantastic old worl finish with mild and realistic factory distressing. Pull out shelf with brass knobs. great storage cabinet for the dining room or for an office. Large high-end china cabinet with oak drawers and lighting. 9 Drawers, 4 doors and 5 glass windows. Factory light kits with touch dimmer switch on upper right corner hinge. 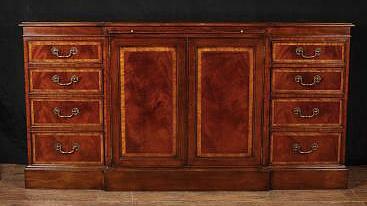 Fine high end bow front china cabinet. Individually paned glass windows, factory light kit with touch dimmer switch. Dental molding cornice. 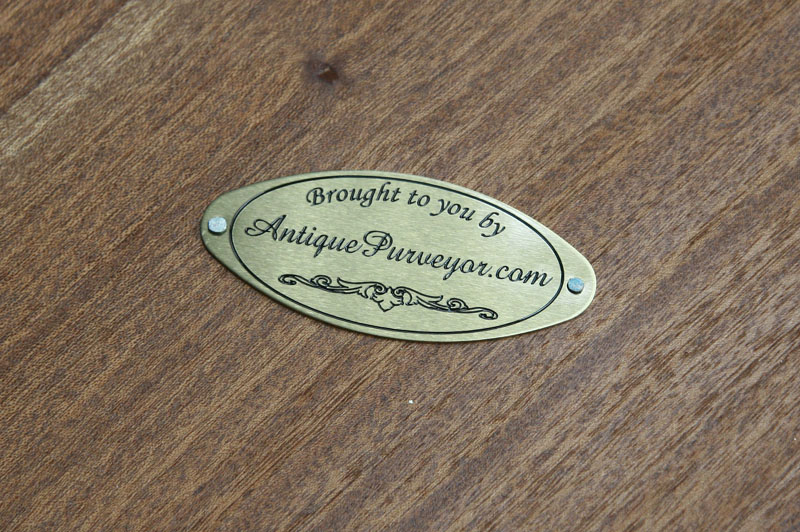 Small mahogany buffet. Hepplewhite style buffet with slide-out serving tray. Banded mahogany top. 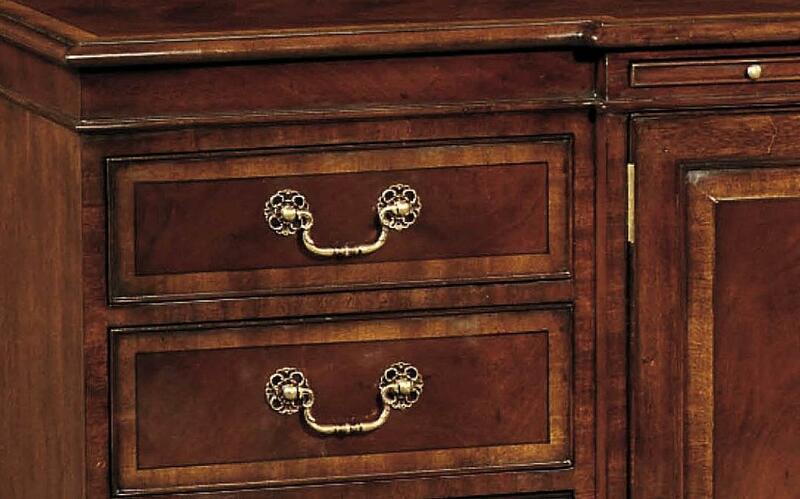 High End Demilune Chest with intricate mahogany bandings and inlays.